Optum Energy Solutions (Optum) has entered the pipeline drag reducer market as a major manufacturer and full service supplier. Utilising advanced technology for engineering, manufacturing and delivering industry-leading solutions, Optum ensures maximum efficiency for its global customers. The leadership team at Optum traces its experience with drag reducing agents (DRA) to the first commercial use of the technology for the Trans Alaska pipeline. The company offers customised, turnkey solutions, including full field support and onsite services. 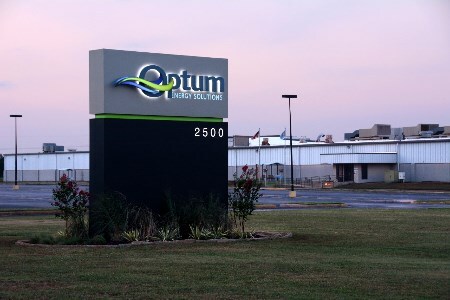 Optum’s manufacturing facility, a 60 plus acre complex in Chickasha, Okla., was funded by sponsor, CSL Capital Management (CSL), an energy focused private equity fund, and is capable of supplying millions of gallons of drag reducer additive to globally meet any client needs. Flow Optimizer™ is Optum’s new, water-based DRA technology, designed for broad-spectrum applications in crude oil pipelines. The technology’s active ingredient is an ultra-high molecular weight hydrocarbon polymer, like major components of crude oil, which dissolves into the hydrocarbon stream and does not deposit on the pipeline walls. Optum’s proprietary process includes cutting-edge methods for controlling polymerisation and blending strategies, resulting in a suspension that is easy to maintain and re-suspend with mild agitation. Flow Optimizer’s superior performance can be supplied in three formulations: Flow Optimizer for temperate climate; Flow Optimizer Sub-F for winter applications; Flow Optimizer Polar for environments continuously well below freezing.